come when life seems most challenging. Opportunities multiply as they are seized. Facing a difficulty requires a willingness of heart. 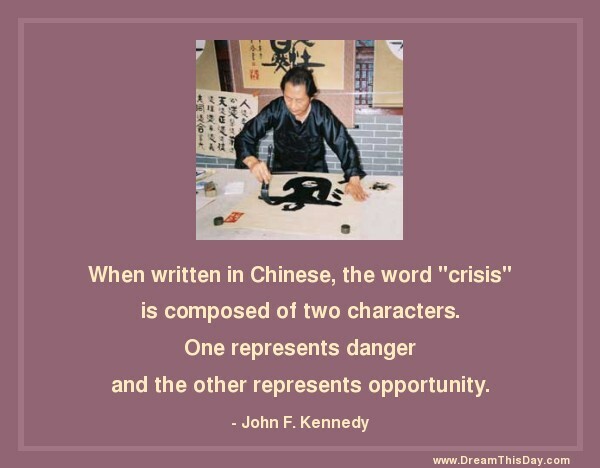 When written in Chinese, the word "crisis"
is composed of two characters. One represents danger and the other represents opportunity.